If there is one area in India that badly needs some, it is the planning and implementation of infrastructure projects, says Barun Roy. Former Prime Minister Manmohan Singh, in the dying days of his tenure, spoke of the need to inject "animal spirits" into the economy in order to revive and maintain its growth. If any one area badly needs a heavy dose of such an injection, it's the planning and implementation of projects. India's record in this respect has very dismal indeed. Projects are launched without adequate ground preparation as to how much land will be required and where it will come from or if the necessary money is available. Often, either the tendering process is incomplete, or the terms and conditions are unclear, or lengthy litigations and local political interference, or simply a lack of policy and management co-ordination, stalling projects midway and left hanging till things are sorted out. Rarely does an Indian project get finished on time or within the original cost estimate, and by the time it's finally done, new problems and pressures overtake to negate or diminish its value. 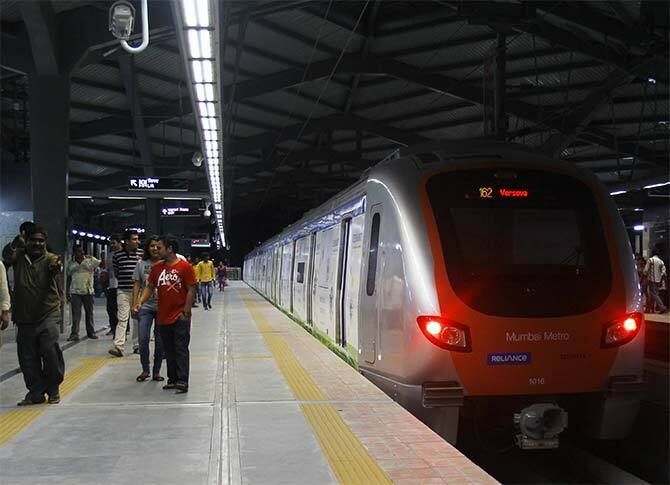 That's one reason why public-private partnerships (PPPs) have made such slow headway in India, especially in the transport sector, and private funds have largely shied away from infrastructure projects in general. 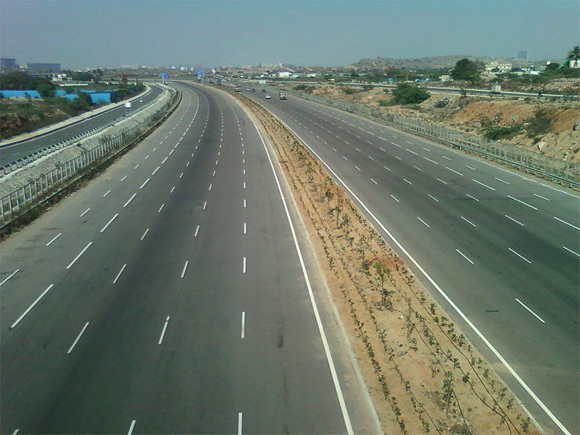 Work on the widening of the 225-km Delhi-Jaipur Pink City Expressway from four to six lanes began in December 2008 and was to be finished in two and a half years. But it's still struggling in the face of land disputes. In West Bengal, the multi-laning of NH-34, linking Kolkata and Siliguri in the north, has been similarly held up for years. It's also in a terrible shape in many places and nobody has a clue as to when a solution will be found. 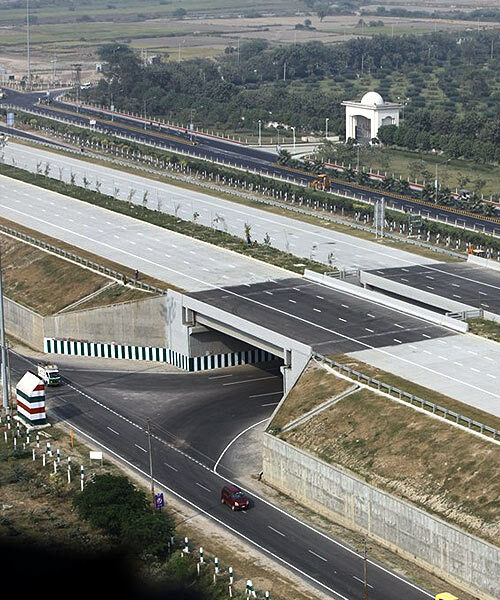 According to news reports, the National Highways Authority of India (NHAI) admits at least Rs 60,000 crore (Rs 600 billion) worth of road projects in the country lie unfinished mainly because of difficulty in obtaining the required land. PPP contracts are often signed even before having a clear idea of how much land needs to be acquired and by when. In many instances, there's a lack of co-operation at the state level, which is a big hurdle since land acquisition is the state's business and not that of the central government. The NHAI says non-availability of funds from private developers and financial institutions is also responsible for major delays. 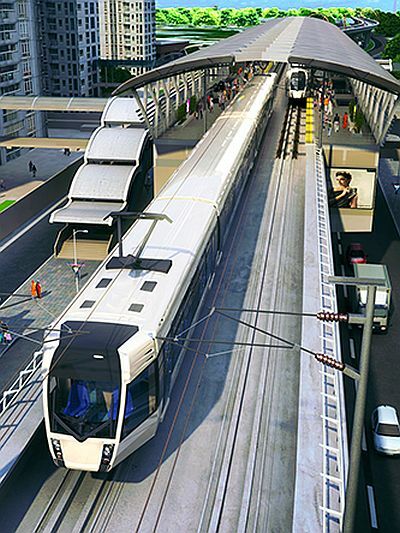 It's not a very heartening situation for would-be investors in India's infrastructure revival. The 5.8-km long Bandra-Kurla Sea Link across MahimBay in Mumbai, opened in 2010, took 10 years to complete because of public-interest litigation, pushing the original cost estimate of Rs 660 crore to Rs 1,600 crore Rs 6.60-Rs 16 billion), with additional interest alone of Rs 700 crore (Rs 7 billion). It's supposed to be part of a 29-km Western Freeway, which was conceived a decade ago and is meant to link Mumbai's western suburbs with Nariman Point in the main business district. But the fate of this project is still unknown and its next segment, a north-bound sea link between Bandra and Versova, was cleared only early this year. The country's first and mostly-underground metro, a north-south corridor now 28.14-km long, was conceived in 1949, began construction in 1973, but wasn't fully operational over the entire stretch before 1995. 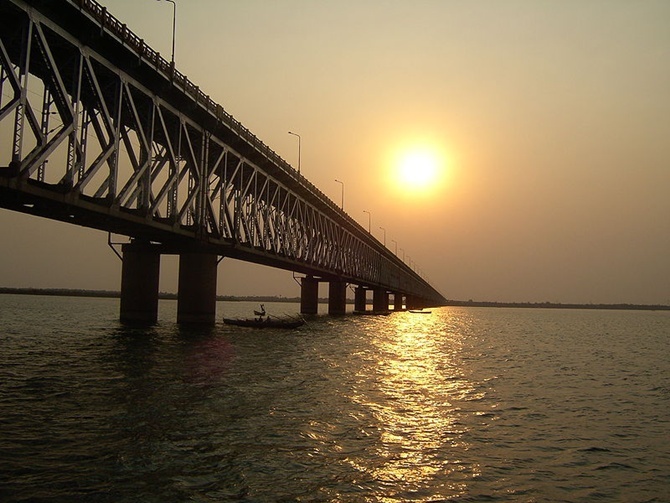 A 14.67-km east-west corridor, including an underground section across the HooghlyRiver, has been in the works since 2009, but land disputes over the final routing of this crucial section haven't been settled yet. By comparison, the 1,318-km Beijing-Shanghai high-speed railway, designed for a maximum speed of 380 km per hour and opened in June 2011, was completed in three years. The 1,142 km Golmud to Lhasa railway, the world's highest, was finished in five years despite difficult odds. Still the world's longest sea bridge, a 42-km link between the eastern Chinese coastal city of Qingdao and Huangdao across JiaozhouBay, took only four years to be erected. Hong Kong's international airport on Lantau took only six years to build lock, stock and barrel, including the levelling of two existing islands and the reclamation of the adjacent seabed. In Singapore, the cable car to Sentosa, across the Keppel Harbour, which has vastly transformed the republic into an astounding tourist and entertainment destination, was up and running in two years. There are many other examples from around the region of prompt execution of projects, and I know there are many in this country who'd argue that the Indian situation can't be compared with others. But the question here isn't one of political systems or steamrollering attitudes. It's of administrative will, foresight, a tight advance preparation on the ground, and a seamless co-ordination between policies and administrative efforts. I suppose these are achievable objectives even in a democracy. What ails India is the lackadaisical attitude of setting the ball rolling and confronting hurdles as and when they arise.